Thomas William Robertson Ingram was born on the family farm of Coxton, Gartly on the 10th of June 1918, the youngest child of Alexander and Mary Ingram. He had four brothers and three sisters. 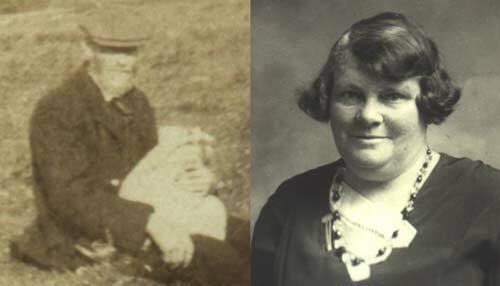 The Ingram family had farmed at Coxton for generations but Mary and her children had to move out following the death of her husband in March 1924. The family were for a time at Hillhead of Cults and Myrtle Cottage, Clatt before moving to Douglas Buildings at Kirkhill. 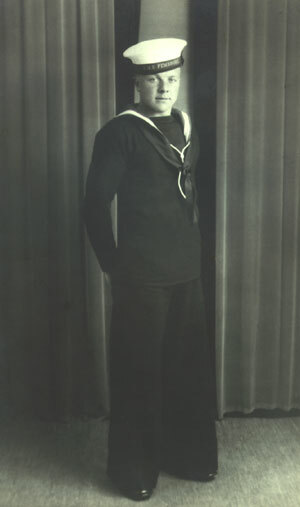 Tommy joined the Royal Navy around 1935. His initial training was done at HMS Pembroke, Chatham, Kent. He served for a time on the Sovereign class battleship HMS Ramillies, sister ship of the ill fated Royal Oak and later the river gunboat Scarab. 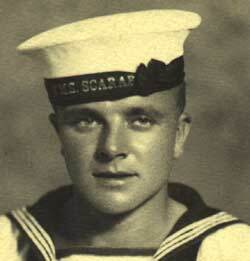 Tommy had risen to the rank of Leading Seaman when HMS Grasshopper, an "insect" class river gunboat with a ship's company of 74, left Singapore on 12 Feb 1942 bound for Batavia, now Jakarta, prior to the imminent arrival of the Japanese invaders. 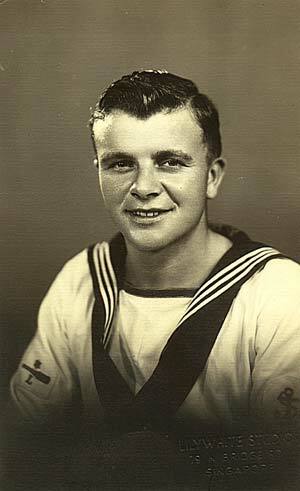 His trade badge (right arm) shows he was a Gun Layer, 1st Class. 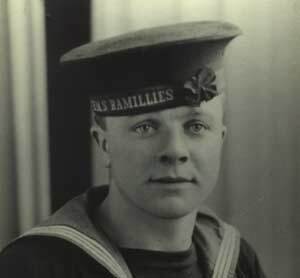 His Action Station would have found him working in the confines of a gun turret as part of a small team loading the muzzle of a large gun and assisting the aimer in setting the gun on target. 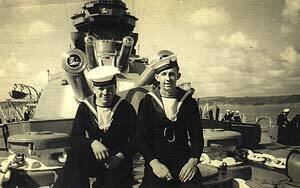 On a smaller vessel a leading hand would often be in charge of a turret. As a leading hand he would have been considered a trusted and hard working crew member. His day to day duties would have found him supervising a group of sailors in his charge. 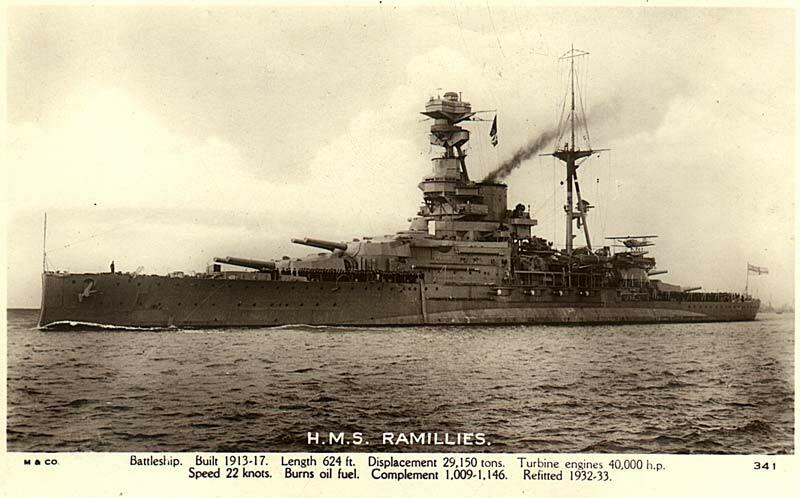 HMS Grasshopper was attacked by Japanese aircraft in the Riouw Straits on 14 Feb. The vessel was hit aft and set on fire. Fearing her magazine would explode she was beached on Sinkep Island. The survivors became prisoners and most suffered terribly as "Guests" of the Emperor of Japan in POW camps in Java. Singapore fell to the Japanese the following day. View records on loss of HMS Grasshopper. His name is recorded on The Chatham Naval Memorial at Chatham, Kent. Built on a hill overlooking the town centre it commemorates Chatham based personnel whose only grave is the sea. The Royal Navy establishment at Chatham was known as HMS Pembroke. Family photographs appear on this site by kind permission of his family.